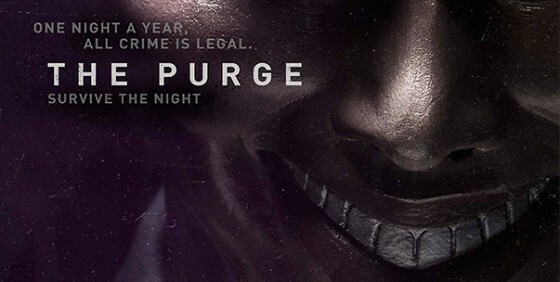 The Purge is a psychological thriller movie. My impression before watching the movie when I saw the poster was that it was a S.A.W. or Friday the 13th style film where a killer goes and “purges” dudes. I saw the trailer for this movie a few minutes before walking into the theater and it seems that it’s not at all what it seems. I had no idea what I was getting myself into walking into the cinema. So I checked the cast and saw that Ethan Hawke was in it. Then I was suddenly onboard. I am a fan of Ethan and he has been off the radar for quite a while now, the last time I saw him was as a Vampire on Daybreakers. Him being here gives me a little bit more incentive to watch. The Purge wasn’t at all supernatural and it was all about a dystopian future in the United States. In 2022, there is a day in the year where for 12 hours (7pm – 7am), all crime, murder and killings using small arms are considered legal. The only folks that are exempted from this are top ranking government officials. People go out to the streets to kill or “Purge” mostly the non-contributing members of society like the jobless, homeless and criminals. That was the main idea at least for purists. For others, it’s to vent out their aggression to kill people they hate like neighbors, coworkers or maybe friends. As a result, the United States has 1% unemployment rate and the economy is blooming. 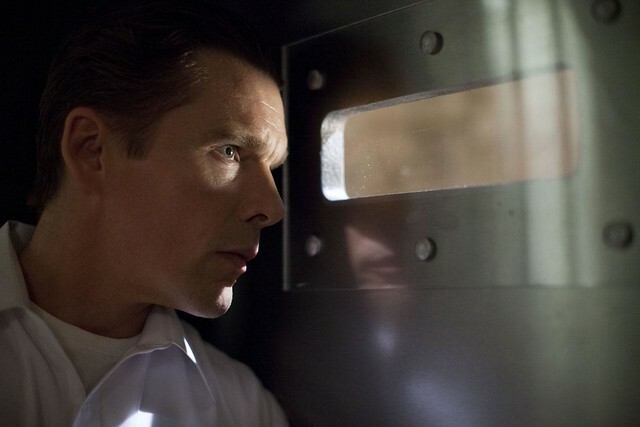 The Purge movie revolves around Ethan Hawke’s family during the actual Purge. Obviously something goes wrong during this time that’s worth telling. James Sandin (Hawke) is the father of the family in focus and sells security systems for the private sector in preparation for the annual purge. He did a really good job of playing the role of scared dad playing tough trying to protect his own family. He is flanked by wifey Mary Sandin (played by Lena Headey who is the brother-loving Queen Cersei from Game of Thrones). All I can say is that she is gaining notoriety for being a really terrible parent. No difference here, she is still a terrible one, it has resulted in a really dysfunctional kids wherein no one thinks for themselves and no one listens to what each others say. Perfect recipe for a suspense flick. Other than these 2, no other member in the cast have done anything significant. There are the 2 kids played by brother (Max Burkholder) and sister (Adelaide Kane). They don’t even give the other characters names. It’s a suspense thriller. Family trying to survive the Purge. No twists or turns here, within a few minutes into the movie you already know what’s going to happen. The pace is good for a thriller, it gives you some jumps here and there, lulls you into a false sense of security then gives you more cheap scares. Fun stuff. The Purge does what it sets out to do: 1. Show you what a dystopian United States will be like and 2. Give you some scares and jumps in the process. As a glimpse of that horrible future, it does that job well. Now as a movie, not so much. I spent majority of the time getting annoyed at the characters and how much bad decisions were made in the process. For the most part, I did enjoy the gory scenes that involved a lot of knife chopping and shotguns to the face. The Purge is not a very good movie. If you’re looking for a popcorn movie that will keep you at the edge of your seat, then lower your expectations and go ahead. The Purge shows in Philippine theaters on July 31st.